Learning to drive in the city of London may seem like a herculean task. But that is far from the truth, as many Driving Standards Agency (DSA) test centers are in the outskirts, and not the CBD. A unique phenomenon about learning to drive in London is that the city has a 24/7 economy thus people busy working have limited time for weekly driving lessons. Here is where Always Driving training system – Driving Crash Course – comes in with an attractive option for people who wish to pass their driving test. Don’t be cheated that a driving instructor will guarantee you a pass on first asking. But Always Driving tries its best and the majority of our students pass on their first attempt. The DVSA allows a second test to be taken after 2 weeks have elapsed, so you can rebook with us immediately and we’ll arrange a retest in the shortest time possible. Our Driving Crash course offers a practical driving test which includes a theory test if necessary while driving lessons are delivered in either a manual or automatic dual-controlled tuition car. If you book 1 or 2 weeks in advance, London Driving Crash courses offer 3 to 8 hours of driving lessons every day over a period of 2 to 14 days. Weekend intensive driving courses are available for those with high weekday commitments. 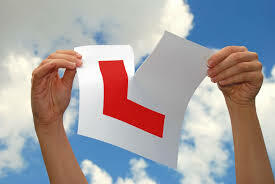 All our driving instructors have full ADI qualifications, up to date CRB’s. Our vehicles are modern and come fitted with safety features of learner cars such as dual controls. There are several DSA test centers across London. These test centers offer tests including one-way road challenges, roundabout challenges, parking maneuvers, and fast roads. Always Driving instructors are well versed with London roads, thus you’ll be guaranteed good knowledge of all the local driving test routes, and how to become a competent, safe, and confident driver. But as attractive as it sounds, no company can guarantee you a pass in your driving test. Only you can assure yourself of a pass, as you can only pass the DVSA Driving Crash Course on merit. Always Driving will guarantee you an intensive driving course with a DVSA practical driving test booked on the last day of your course. In case you fail your first test, Always Driving will book on your behalf your second test after 2 weeks. You may probably need to organise a few hours of practice before the second test. But if you fail with several minor faults or more than one dangerous fault, then it’s advisable you take time to evaluate your ability to drive. You’ll need to arrange several hours of training to fix the mistakes in your driving before tackling another test. Learning to drive isn’t cheap but taking tests when you’re not ready makes the whole process quite expensive. Be on the lookout for companies that claim to offer unlimited training and free retest to unsuccessful candidates. This is a red flag for scams and you should avoid them. Always ask the company’s terms and conditions and read the small print before committing your money to any company. We can find you a driving test in the next 14 days. At Always Driving we specialise in short notice test to keep you always driving.